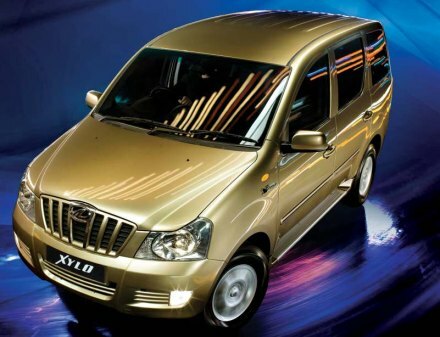 Mahindra has launched a new variant of Xylo, less than two weeks before the upcoming Auto Expo 2010. The new variant will be called the Xylo D2. The Mahindra Xylo D2 will come with an MDi engine producing 95 bhp, and a maximum torque of 215 Nm. The new variant of the MPV meets Bharat III emission norms. The Xylo D2 MDi will offer a fuel efficiency of 13 kmpl, claims Mahindra. The price of the Xylo D2 in Delhi (ex-showroom) is Rs 6.33 lakhs. The vehicle comes with a 5-speed transmission. The original Mahindra Xylo was an instant hit, clocking heavy bookings immediately after its launch. The new Xylo D2 retains the looks of the original, which many are not in love with – but looks are hardly a deciding factor in car purchases in India, and the Xylo was no different. The MPV was also much-loved for its vast interior space which was better than the market leader Innova. The Mahindra Xylo D2 MDi will be available in three colours – gold shimmer, mist silver and fiery black. The company said that the new Xylo D2’s MDi CRDe engine offers greater fuel efficiency, lower maintenance and spare parts cost and decreased emissions. The current version of the Mahindra Xylo offers a four cylinder turbocharged 112 bhp diesel. The newer one obviously is less powerful, but would be adequate on good roads and in cities. The taxi market does not care much about the power, and might be quite interested in the Xylo D2. Sadly, the Mahindra Xylo website still does offer any information about the new D2 – like many automobile manufacturers in India, updating its wbsite with information on new vehicles seem to be hardly a priority for the company. The Xylo D2 will be on display at the Mahindra pavilion at the Auto Expo 2010.